Explorations - AlphaBEST Education, Inc.
WHAT DOES ALPHABEST EXPLORATIONS PROVIDE? 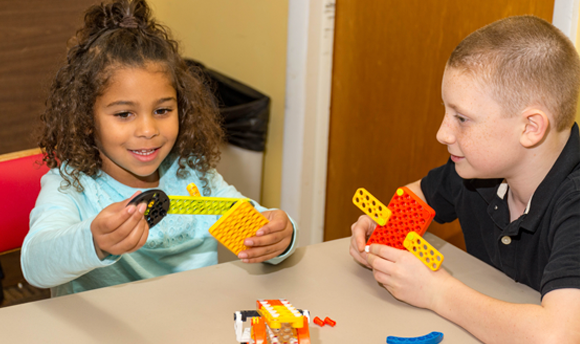 AlphaBEST’s Explorations programs bring individual enrichment classes into your child’s school to let students dig into a specific theme over the course of several weeks. Our class options range from coding to engineering to Maker Movement-themed projects to drama and more. Looking to sign up for an upcoming Explorations workshop at your child’s school? How much do typical classes cost? They average between $15-22 per week based on required supplies. We allow a full refund in the first two weeks of the class, less a processing fee. Who are the instructors who teach the enrichment classes? All our instructors undergo extensive interviewing, training, and background checks. Many are retired or current teachers, college students majoring in the subject area, or business owners in the field of expertise (i.e., Fencing, Golf, Ceramics, Chess, etc.). They all have invaluable experience dealing with children in a classroom or camp setting. What is the procedure for the children to get to the enrichment class and for dismissal? Children go directly to the enrichment class when school ends. Please send in a note to their homeroom teacher on the day your child has enrichment to make sure that they attend. Rosters are provided to the teachers as well. Following the end of the class, all children in the aftercare program are taken to the room where it is held. All other students are brought to the front of the school and parents are required to meet their children there for pickup. Our instructors wait until all children are picked up and will call parents who are late. I lost the schedule for my child’s enrichment class. How can I find out what the dates are? All our fliers are available for viewing and download from our website under the heading of “Registration". If a class is missed due to weather, an email will be sent to all parents informing them of the rescheduled class. How will I know if a class is cancelled due to weather? Under the heading of School Cancellations, all schools that have classes cancelled will be shown along with the date. The website will be updated at 12pm of the day of the event, so please check after that time to see if your child’s class is cancelled. All parents will receive an email from our staff regarding any make-up classes for cancelled classes due to weather.